Vibrance Nutrition and Fitness | Take this Quiz: How Healthy Am I? You are here: Home » Blog » Take this Quiz: How Healthy Am I? I developed this quiz by looking at the key indicators of health and creating a rating system based on what I have seen in practice and in life. Enjoy this little quiz as an assessment of your healthy lifestyle and be sure to come back and retest regularly as you implement more healthy practices! 1) How achy do I feel? 2) How often do I get sick? 3) How often do I have a bowel movement? 4) How are my bowel movements? 5) Do I feel unfinished after a bowel movement (like there’s more that won’t come out)? 7) How many hours of sleep do I get, on average? 8) Do I feel rested when I wake up in the morning? 10) How many servings of vegetables do I get daily? 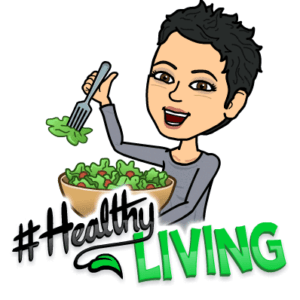 0 – 6: You are doing an excellent job of managing your overall health! Find any areas that need work and address the easiest to remedy first. 7- 25: You are doing quite well at maintaining your overall health, unless there is one or more area that are 4+. If this is the case address these to prevent further problems down the road. 26-40: there’s some risk present. If this is a little bit spread out over many aspects of the quiz begin addressing those which are correlated with your family’s disease history (ie – mild gut troubles and a hx of colon cancer – start there!) if this is due to a couple of key areas tackle the easiest to change areas first. 41-50: You are at significant risk for chronic diseases. Even if you feel well now, the stage is being set for trouble down the road. Address the easiest to manage changes you can and chip away at the more difficult pieces to preserve your health and even get rid of the fatigue and ‘signs of aging’ you’ve been told are normal. Seek out healthcare professionals who are committed to disease prevention, not just disease management. 51-65: you are at high risk for chronic illness and disease and may already have a diagnosis or two. Nearly 90% of the diseases in industrialized nations can be improved or put into remission with diet and lifestyle changes, including heart disease, diabetes, autoimmune disease and even early stages of Alzheimer’s! Seek out a health care team to help you find your way back to health and begin implementing changes in areas you can while you seek professional guidance.